WordPress is what we do. And we do it really, really well. Inpsyde develops enterprise solutions using the most popular Open Source CMS in the world. And has done so from the very start. And we will continue to do so, because we are die-hard supporters. Don’t hesitate to contact us directly! Inpsyde’s foundation is now more than 10 years ago – we exist nearly as long as WordPress itself. As founders of the WordPress Germany community platform, we spread the word about WordPress while it was still a kitten. We supported its development, translation, and expansion, and have implemented lots of challenging use cases. Today, we are incredibly proud to re-invent WordPress for our customers in the enterprise sector each and every day with our team. Themes, plugins and several shop-enhancements for WooCommerce, for example SAP connection, as well as MultilingualPress and BackWPup belong to our developments just as the support of WordPress’s Core. We are the one and only official German-speaking WordPress VIP Service Partner and WooExperts Gold Partner. That honours our daily passion for WordPress and it is a fact we are very proud of. Inpsyde is a developer agency with a core focus on WordPress development. We do not only implement themes and plugins within the parameters of current standards, we also accompany and support the websites of our clients from the initial idea to the final go live and far beyond. As a web agency we develop solutions for any possible application with well-founded advice and concept creation. The spectrum ranges from simple blogs and business pages to communities and shop systems to high-end database applications and intranet solutions. We additionally offer migration and maintenance services for existing systems, migrate entire websites, trim down for higher performance and more security. Our most important asset: our employees. As the driving forces, they provide ideas, solutions and innovations. We are proud of having longtime employees and being able to constantly welcome new Inpsyder. This might be due to our remote work. Our employees work at their centre of life and can take their work wherever they want – they don’t need to organize their lives around their workplace. Want to know more about the Inpsyde-Team and our way of working? We take part in the community by supporting WordPress Germany and organizing WordCamps. We share our knowledge in forums, presentations and weblogs. Meanwhile, more than 30 of our plugins are available free of charge. We were created from within this community and want to give back as much as possible. Oh, by the way: Lately, another WordPress agency asked we we call ourselves “Germany’s largest WordPress agency”. We answered this question in a short blog post.  Because we dedicate much working time to the further development of WordPress voluntarily, round about 8 % of WordPress’s Code originates from us. We regularly support WordCamps as a sponsor and visit meetings and MeetUps around the world. By this, we help deepen the exchange between the WordPress-Developers. The core of our identity: Open Source. We provide support and make plugins and resources available for community collaboration. We share our knowledge and experience with you in presentations or blog posts. We talk about new ideas and approaches. We employ, support and encourage young talents.